Yesterday Empire Magazine unveiled the first of their exclusive Rogue One: A Star Wars Story covers, featuring the heroes of the film. Today, they revealed the second Rogue One cover, this time focusing on the film's villains. Front and center on this new cover is Director Orson Krennic (played in the film by Ben "Mendo" Mendelsohn) and his is flanked by two of his black armored Imperial Death Troopers. 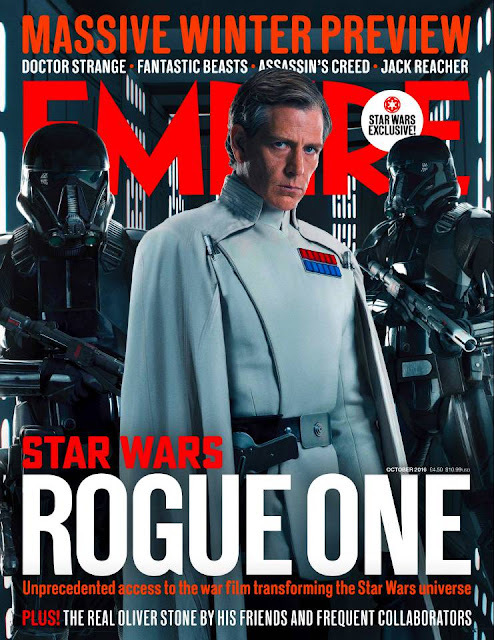 The issue will go on sale on August 25th and features interviews with Rogue One director Gareth Edwards, as well as various cast members. Yeah, I'm gonna need to buy this one. 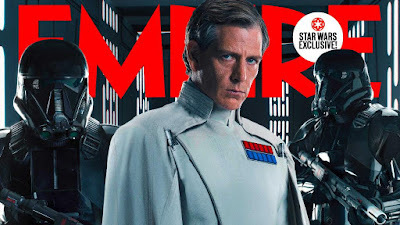 Ben Mendelsohn's Celebration entrance sold me on the character!